Summer test prep is full of unique challenges. That said, the ACT and SAT summer test dates provide great opportunities for tutoring companies to market summer courses. Is your company taking advantage? Both the SAT and ACT now offer their tests at various times throughout the summer. Furthermore, the last 2018 summer offerings of each test also have summer registration deadlines. Building on these dates is the perfect way to construct a successful and marketable summer test prep program. Earlier this month, we discussed the challenges facing summer test prep and how flexibility plays a key role in attracting and supporting clients. The late-summer test dates can serve as a way to further adapt your programming to the year’s most unpredictable season. It makes sense to use the September 8, 2018 ACT and August 25, 2018 SAT as the goalposts for a summer test prep program. Without regular school coursework to contend with, many students will benefit from the ability to narrow their focus to their test of choice. The fact that students can both prepare and test without taking away from schoolwork should be a great piece of any effective summer test prep pitch. However, the fact that registration deadlines are also in the summer means that there is a built-in option to punt test day back to the October test dates should things not progress as expected. Registration weeks can serve as checkpoints to evaluate whether a student's expected growth is actually happening. Late registration windows can even be used as a second assessment point if need be – late registration fees will obviously apply. It is important to remember that there are schools that require students to submit all of their testing results (the good, the bad, and the ugly) as a part of the application process. Sometimes opting for some extra preparation is a smarter move than taking a test that is likely to produce a less-than-stellar result. Summer test dates are a great goal, but early fall dates can be the safety net. 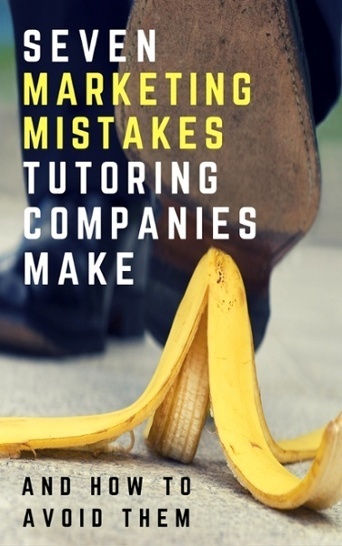 Marketing test prep is a tricky proposition no matter what time of year it is. Clients often come looking for promises and guarantees cornering test prep companies into making predictable mistakes. As with most areas of education, it can be challenging to meet hard-and-fast promises 100% of the time. This unfortunate reality does not change the fact that prospective clients want concrete assurances in an otherwise unpredictable arena. Rather than getting into the prediction business, focus on the things you can control. Create courses that use the best possible materials to deliver the best possible instruction and create the best opportunities for student success. This summer, don't just rehash last season's plan. Use this year's late-summer test dates as the targets of your summer test-prep offerings by working backward to create authentic and personalized timetables for student growth. Include the July registration dates as a built-in litmus test to form an extra layer of accountability for everyone involved. While there are no promises, having these immovable elements baked into your curriculum and marketing pitch adds authenticity and focus that can make it easier for clients to buy what you’re selling.